I know better than to take these as gospel, but they’re surprisingly accurate if not a little stereotypical. 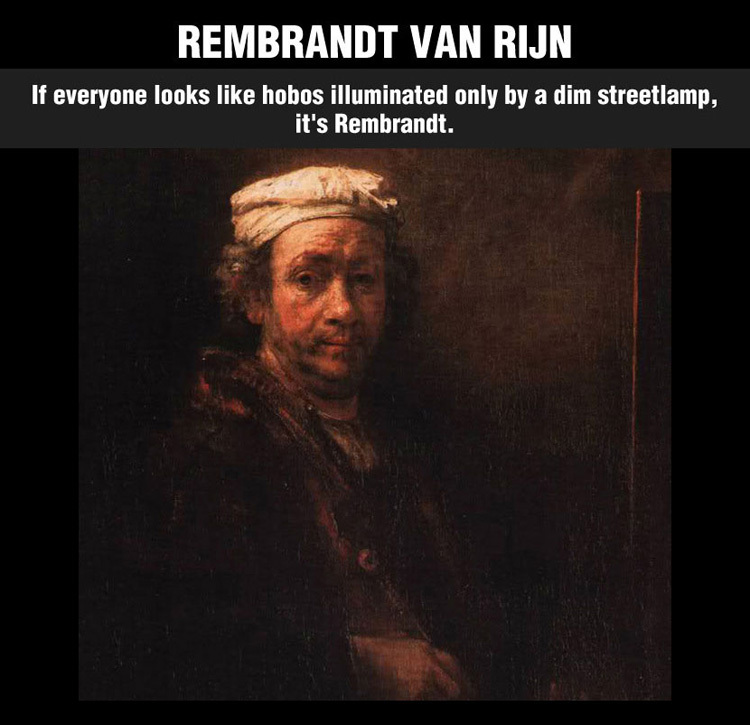 I laughed a lot harder than I should have at the van Eyck and Rembrandt ones. Other funny ones of note: Dappled light but no figures, it’s Monet. Dappled light and happy party-time people, it’s Renoir. Dappled light and unhappy party-time people, then it’s Manet. 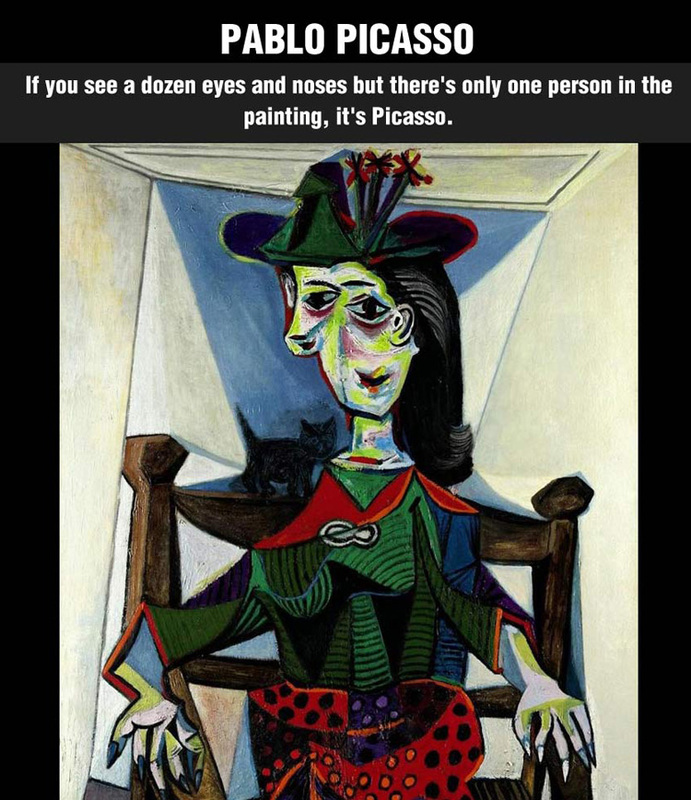 Anyone else –ahem, Lauren— reminded of the line from Ocean’s 11: “I always confuse Monet and Manet. 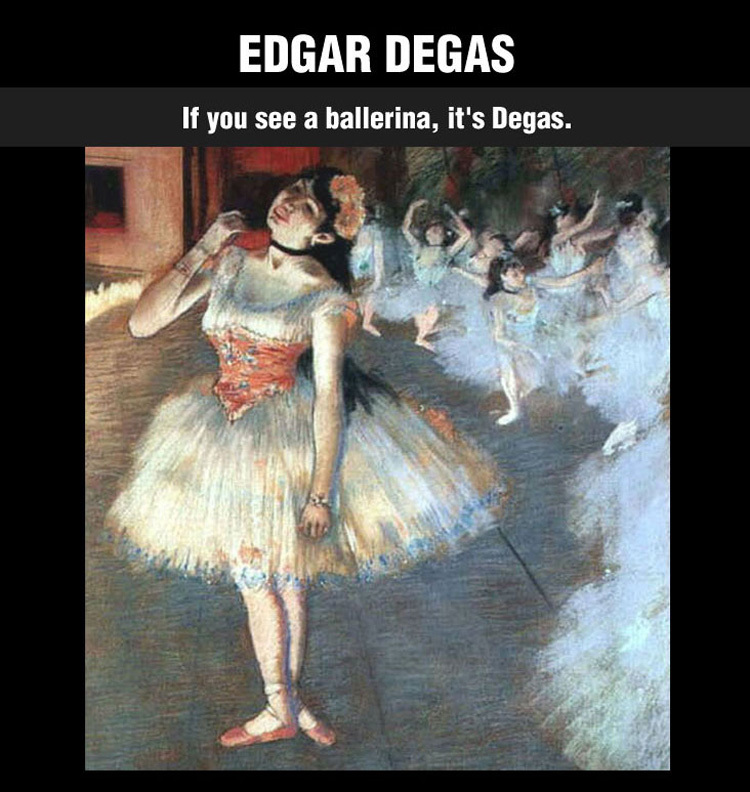 Which one married his mistress?” “Monet.” “And Manet had syphilis.” “They also painted occasionally.” Oh, the things you find on the internet! The Eyck one is hilarious! This is HILARIOUS and a totally helpful cheat sheet for people like me who can’t keep all these painters straight! The van Eyck tip is so spot on, it’s uncanny! this is incredible. 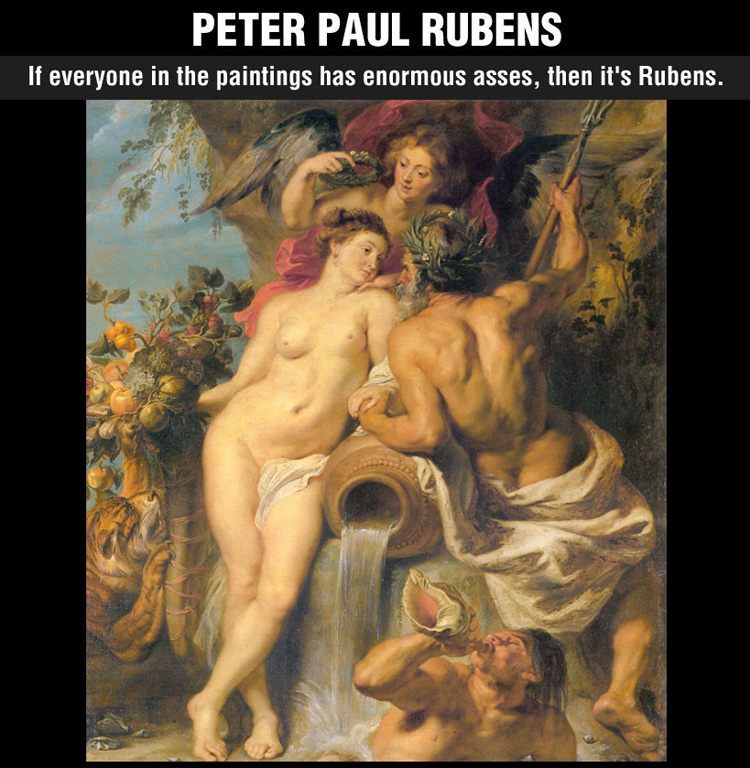 i love the rembrandt one as well – definitely dim lights and hobos, but that’s the beauty of it!!! Why oh why didn’t they teach this at school! I always mixed up Manet and Monet – now I’ll never forget! OMG, this is AWESOME! I’m laughing so hard this morning! I wondered where your sudden Ocean’s quote came from, and now I know why. (It was the first thing that popped into my head too!) I hated that I had to lose the thread so quickly when we were tweeting but we were scrambling to get to baseball and out the door. I’ll have to pick it up; I always have the best time when we do that. And yes, the Van Eyck is the best. Oh yeah, it doesn’t take much to get an Ocean’s quote stream going, and you are the first person I think of :) Don’t apologize, I kept myself entertained! oh my gosh this is amazing. 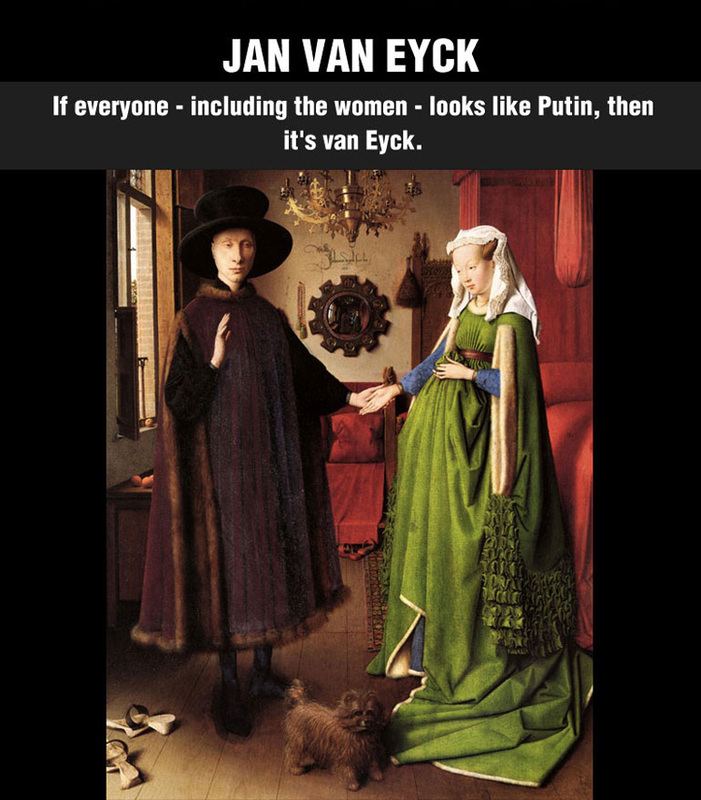 the van Eyck one killed me! Omg van Eyck – HAHAHAH love! SO FUNNY! I am going to share this with my rents!